The 3000 Series I was introduced after the 3000 Series II. 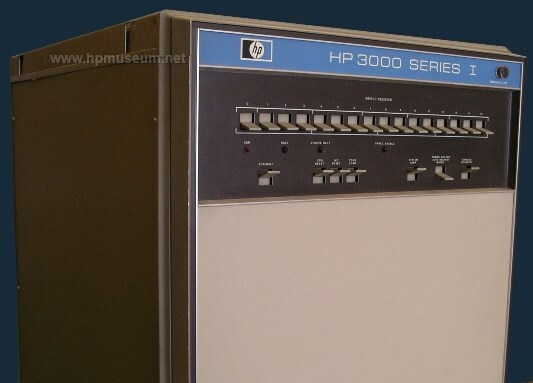 The Series I was the last of the HP 3000s to come with magnetic core memory (rather than semiconductor memory). The 3000 Series I came standard with 128K memory, a 7920 hard disc, and 7970 tape drive and a 2640B terminal. The Series I ran the MPE-C operating system. It could support up to 16 terminals. The Series I was introduced by HP to accomodate customer demand for a 3000 priced under $75,000. Many of the components used in Series I manufacture came from pre-Series II 3000s which had been returned by customers when they upgraded to a Series II. 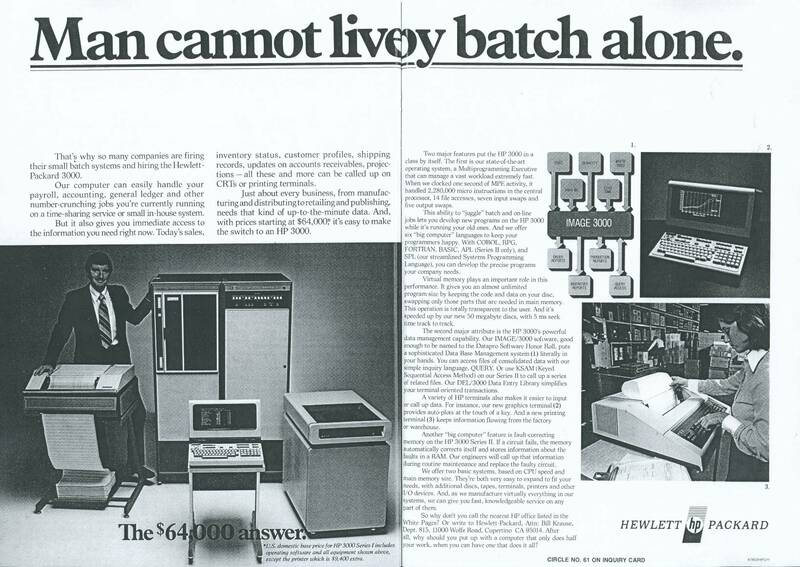 By August of 1978 (16 months after Series I introduction), the product had sold so well that HP was running out of parts (from upgraded old 3000s) to continue building the Series I. By November, GSD had to limit the number of Series I that could be ordered to only four per month. The 3000 Series I was obsoleted in March of 1980.